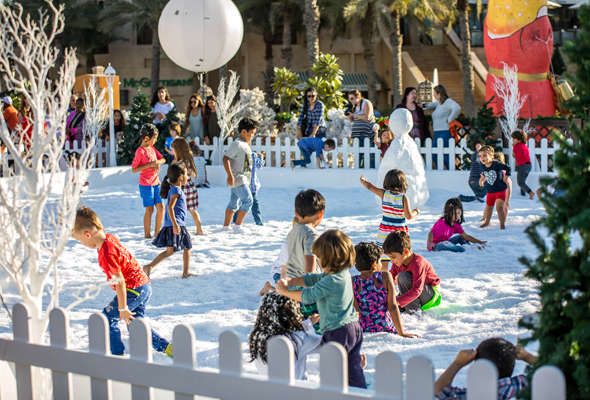 Dig out your Christmas jumper and loosen up those carol-singing vocal chords as Madinat Jumeirah is set to welcome the return of its festive market on Thursday December 20. The Fort Island festivities will run for nine days and will feature a traditional German market, food stalls, the opportunity to ride an abra with Santa, and of course, the stunning Christmas tree. For the little ones, there will be a giant snow ball zone, play area and gingerbread house making station. 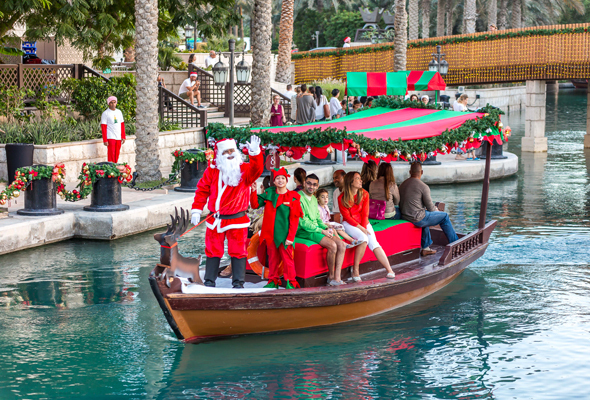 But if you can’t make it to Madinat Jumeirah, a second festive market will also pop up over the same dates at Jumeirah Creekside Hotel. Transforming into a winter wonderland, the hotel will also feature a German market, a mini train ride headed for the North Pole, face painting and a two-lane bungee jump. You’ll also be able to tuck into a selection of seasonal food and drink at both Madinat Jumeirah and Jumeirah Creekside Hotel.